Good location convenient for exploring the city. Clean. Really nice stuff, good WiFi, in the center of the town. L’hôtel est très bien situé, à proximité du centre historique piétonnier et d'un parking gardé. L'accès est très facile en voiture. La chambre est grande, le lit est très large. 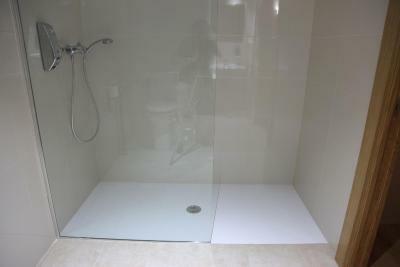 La salle de douche est grande mais le lavabo est trop bas. 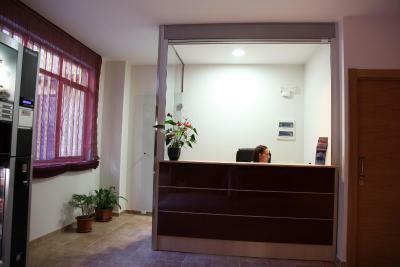 Recepción muy amable y rápida a nuestra llegada. Llaves para entrar en hostal cuando se quisiera. Ubicación inmejorable. El baño estaba muy bien. La ducha super cómoda. La ubicación es excelente. 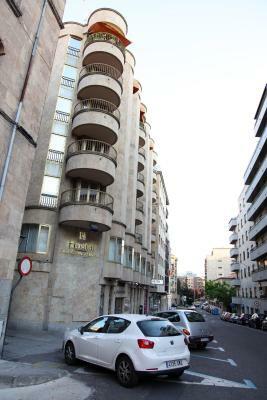 El hotel está muy bien situado, a 10 min de la plaza mayor. 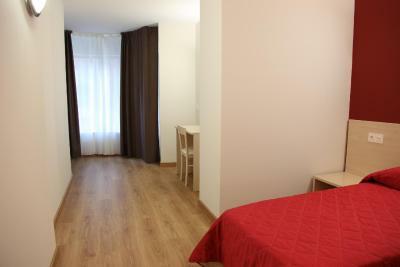 Está muy bien ubicado, la habitación con su cuarto de baño, todo muy limpio. El personal del hostal muy correcto. La ubicación, cerca del centra, cinco minutos andando de la plaza mayor. La relación calidad precio era la esperada. por lo barato que es tampoco se pueden pedir lujos, tiene lo justito para pasar una noche. 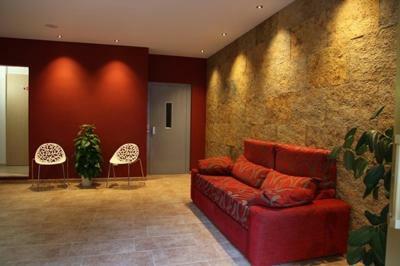 Hostal Santel San Marcos This rating is a reflection of how the property compares to the industry standard when it comes to price, facilities and services available. It's based on a self-evaluation by the property. Use this rating to help choose your stay! 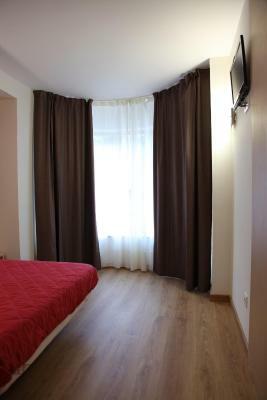 This smart and comfortable guest house is set just next to Zamora Street, 1 minutes’ walk from San Marcos Church. 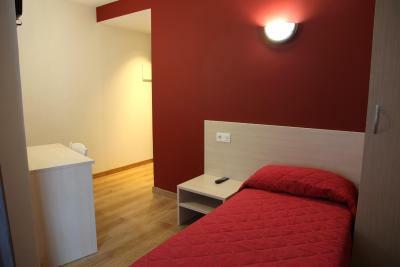 It offers modern rooms with free Wi-Fi, 5 minutes’ walk from Plaza Mayor. 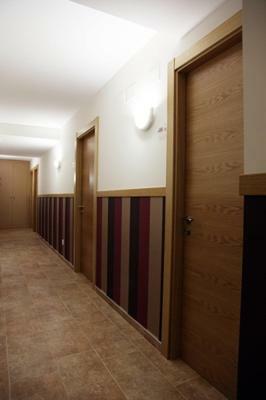 Air-conditioned rooms at Hostal Santel San Marcos feature contemporary, functional décor and wooden floors. 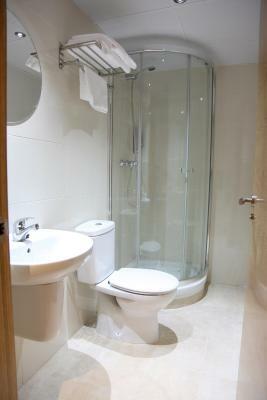 All include a plasma TV and a private bathroom. 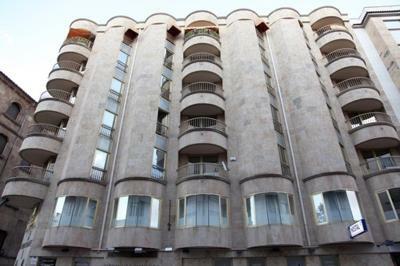 The property has drinks and snack vending machines, daily newspapers and luggage storage. There are several bars, restaurants and shops within 5 minutes’ walk. 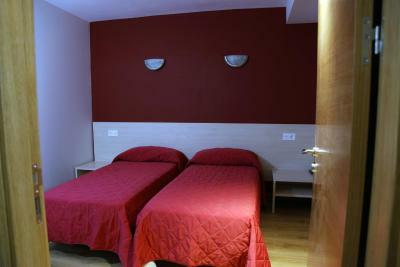 Hostal Santel offers tourist information and is 10 minutes’ walk from the Old and New Cathedrals. 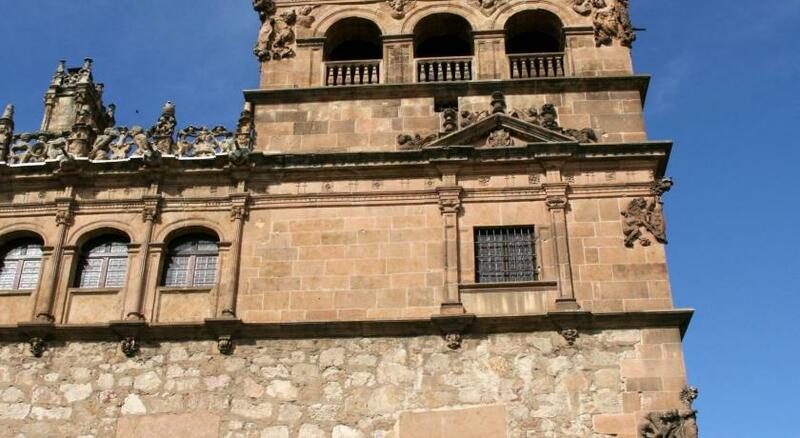 The Casa de las Conchas and Salamanca University are 2,650 feet away. 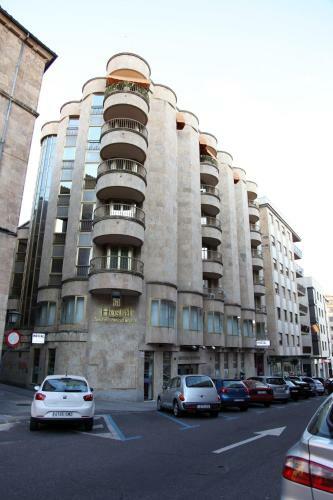 The property has a bus stop 650 feet away and is within 15 minutes’ walk of Salamanca Bus and Train Stations. 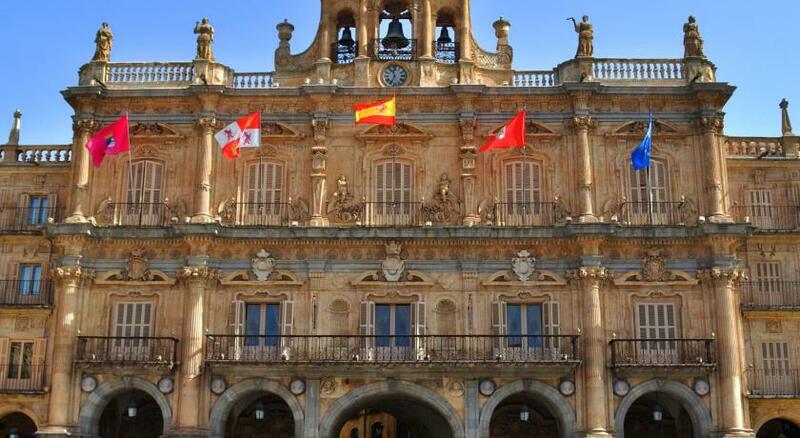 Salamanca Airport is 11 mi away. 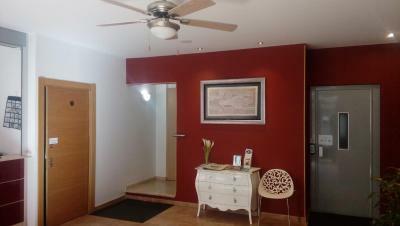 뀐 Located in the real heart of Salamanca, this property has an excellent location score of 8.8! 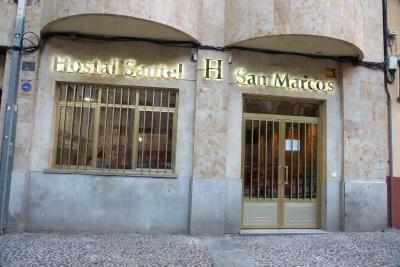 When would you like to stay at Hostal Santel San Marcos? 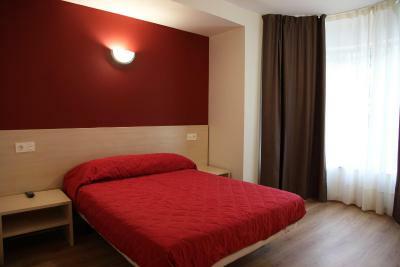 This smart, air-conditioned room features free Wi-Fi, contemporary, functional décor and wooden floors. 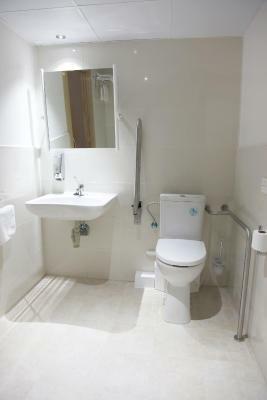 It includes a plasma TV and a private bathroom. 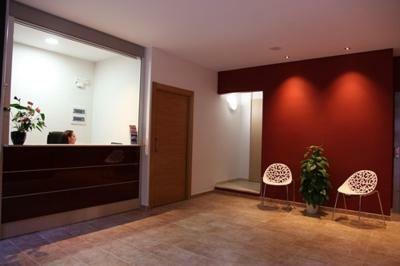 House Rules Hostal Santel San Marcos takes special requests – add in the next step! 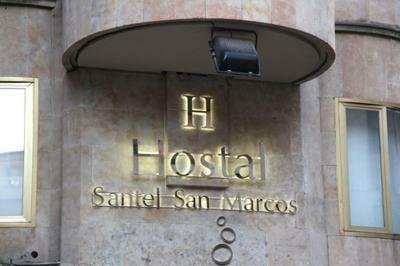 Hostal Santel San Marcos accepts these cards and reserves the right to temporarily hold an amount prior to arrival. Breakfast is served in a café located next to the guest house. Please note that check-in is only available until 23:00. 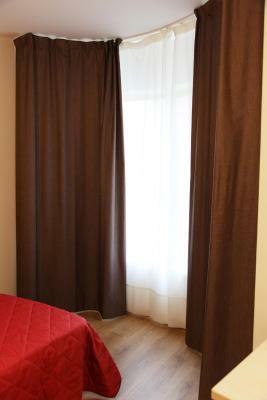 Please, inform the property at least 24 hours in advance if you expect to arrive after 23:00. Late check in on request and subject to availability. Please note that children up to 5 years stay for free. Children older than 5 years old pay as an adult. Old bad, bad odor of the entire hostel, the room and the bathroom. Noisy street. Old towels, no facilities in the room (glasses ...). No refrigerator in the room. Loose sheets which bunch up. Noise from inside (hallway talking and room-to-room noise) and outside (people at the sidewalk cafe, people sitting on plaza just below room, phones ringing with people talking loudly on them, etc). 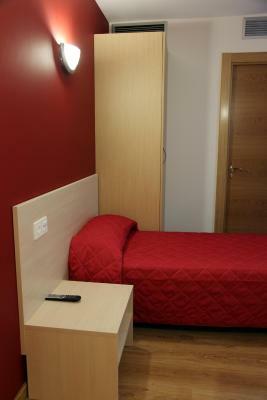 Single beds very narrow. WiFi very slow (3-5 Mbps tested more than once on different days). No shampoo. No glasses in room; not even thin plastic ones. Warm room (A/C could not be turned on probably because of external control by management thinking it should not be used at this time of year; small fan in room inadequate for temperatures in the upper 80s/low 90s F).